Do you want to be an average soccer player or a great one? Improving your strength is one way to drastically improve your body and your game in a relatively short time. Read on to learn how to do resistance training for soccer effectively. As you can see above, you have to choose whether you want hypertrophy (muscle size) or strength, you can only maximize one or the other. The high-reps led to far higher hypertrophy, and the low reps led to significantly higher strength gains. It’s like choosing between looking strong and actually being strong. While strength sounds more useful on the soccer field, lets look at some more results to see exactly how it applies to soccer. As you can see above, the low reps group had far greater improvements in running, zig-zagging and jumping. 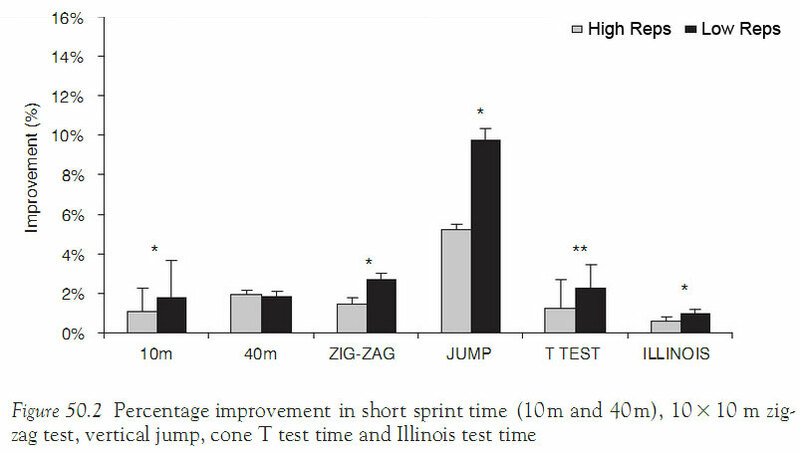 As we found in our previous article Strength and Sprint Times, strength increases sprinting speed, and the same applies to jumping and clearly zig-zagging too. 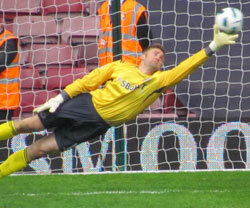 So is low rep resistance training optimal for soccer? Yes. Are you doing low rep high intensity resistance training? Is your buddy doing it? Is your competitor doing it? 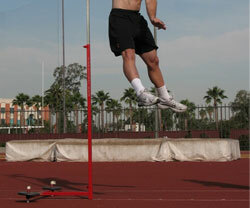 The person who is doing it will improve faster than the others, assuming the rest of the training programs are equal. I see lots of amateurs doing ineffective training such as 30-50 reps per set, that is the last thing you want to be doing. Be the guy (or girl) training optimally, not the guy doing 30 reps per set. Take a look at the following table of leg strength measuring peak torque (in Newton meters). As you can see above, 2nd league athletes have 7.4% stronger quadriceps and 17% stronger hamstrings than 3rd league athletes, and 1st league athletes have 8.1% stronger quadriceps and 6.6% stronger hamstrings than 2nd league players. So this suggests that if you want to move up to the next league, you should increase your leg strength by 5-10% and obviously all of your other skills and fitness too. 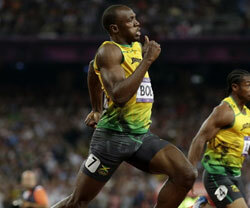 The added strength will make you a faster running, faster turning, higher jumping athlete. If your skills and fitness are at the same level, you will be a formidable player. 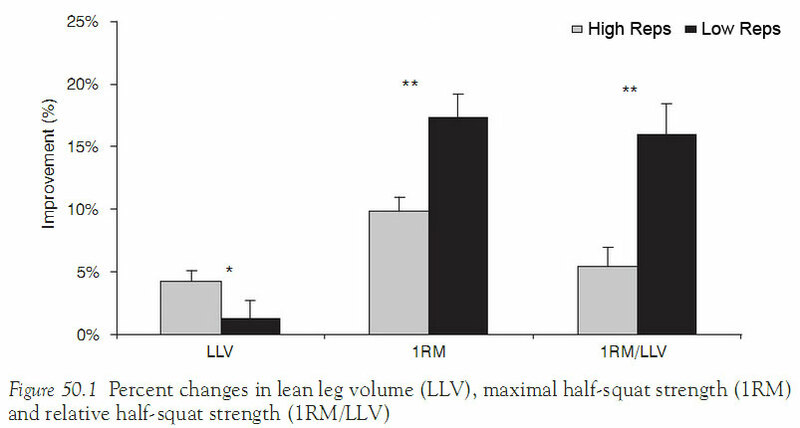 You can see that a 5-10% improvement in strength (along with skill and fitness) may be enough to move up a league, and you also saw that using low rep resistance training resulted in a 15% increase in 1RM after 6 weeks. So even as little as 6 weeks of effective training can have a very significant increase in strength, running speed and jumping height. If you’re not already doing resistance training effectively, then you have a lot of room for improvement. After 1 to 2 months of training properly, you could be a much stronger player. As for training, you should spend a few weeks practicing the below pictured exercises with high reps and low weight getting your technique to be good and safe (Starting Strength is a good book for technique). 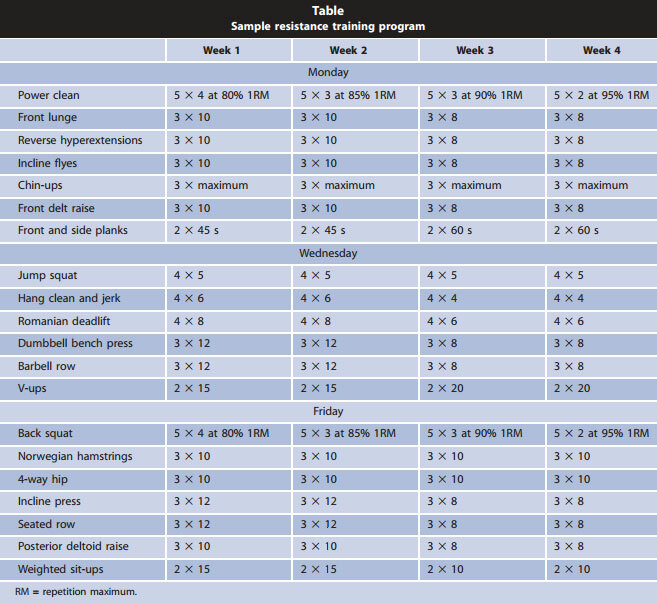 Then you should increase the intensity and follow the program below as outlined. You can see that the reps for the big lifts are low and the supplemental lifts have a medium amount of reps. The program below is designed for sprinters but it will definitely improve your soccer performance too. It will train your whole body, not only your legs, and that is how your training should be. I would however suggest including some additional triceps exercises to improve your throw-in distance. No Responses to "Resistance Training (Weight Lifting) for Soccer Players"